The Lost Woods Heavy Duty Canopy Tarp is built to last in the most extreme conditions. 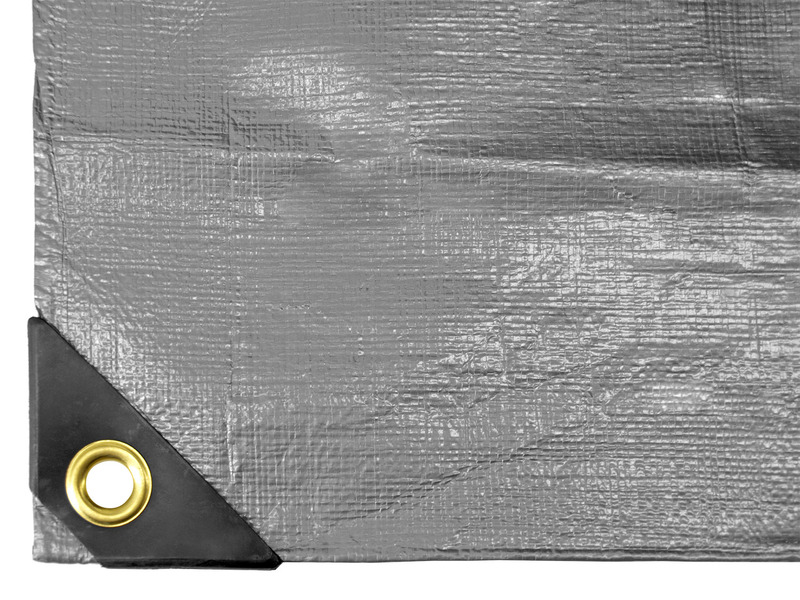 This tarp has been meticulously designed to reflect sunlight and keep it from penetrating tarp. Heavy-duty 6-oz. per square yard fabric weight provides exceptional tensile strength and tear resistance. 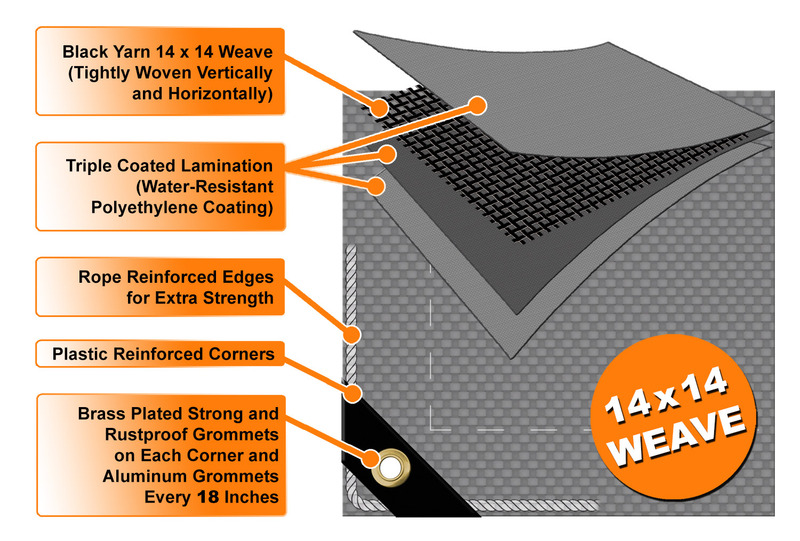 The industrial polyethylene fabric has a tight 14 x 14 strand per inch internal weave and has a triple coated lamination to form a waterproof, rot-resistant tarp that resists sun fading and cracking in cold weather. Finish Size: 11'6" x 19'6"
Do not use on automobiles or flat painted surfaces. May cause chipping or flaking. (L x W x H) 22.00" x 16.50" x 2.00"
(L x W x H) 22" x 18" x 11"